The shorthanded Jazz will be at a significant rest disadvantage. 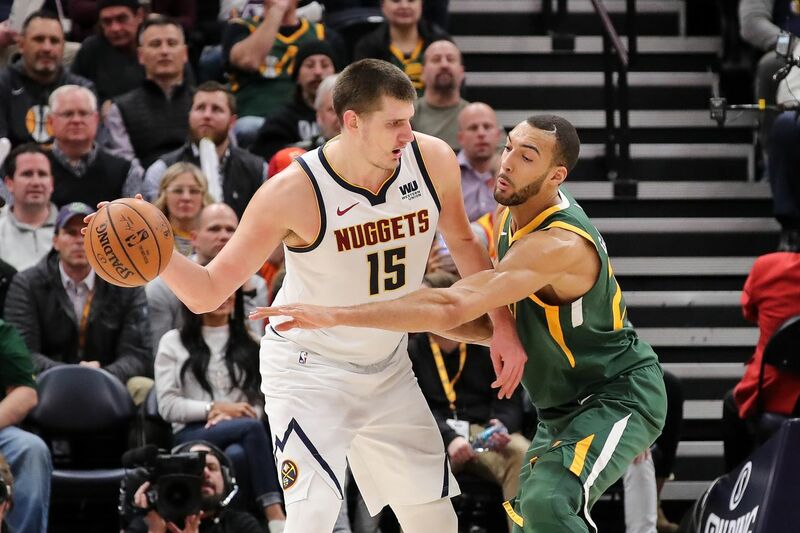 There’s no rest for the weary or the injury-depleted, as the Utah Jazz (34-26) travel to Denver to take on the Nuggets (42-18) in the dreaded Denver back-to-back. To make matters worse, the Nuggets played a home game Tuesday and had yesterday off, giving them a clear advantage in this one. The cherry on top of the sewer sundae is that Utah will be without a point guard, as Ricky Rubio and Raul Neto have both been ruled out with hamstring tightness. How do the Utah Jazz build an offense to get the best shots in the NBA? It is remarkable considering the Jazz don’t have a great isolation player nor do they have great shooters. So how does Quin Snyder and his team become the team in the NBA that gets the best shots in the NBA and the 3rd smartest shots in the NBA. In addition, the Jazz are the NBA’s best analytical team when you look at the offense and the defense. Radio Voice of the Utah Jazz joined Tony and Austin and gave his thoughts on the Jazz over the weekend and what this week has in store. SALT LAKE CITY — On the surface, Raul Neto's contributions to the Utah Jazz over the last five games have been rather modest. Entering Saturday night's game against the Dallas Mavericks, the Brazilian had averaged just 4.8 points and 3.5 assists in less than 12 minutes per contest since returning on Feb. 6 from an injury that kept him sidelined for almost a month. But there's another perhaps lesser-lauded stat the fourth-year pro has put up a gaudy number in. Since his return, Neto has an outstanding plus-minus, which measures how well a team does when a given player is on the floor.